These are custom made for The 7 Line Army and once they're gone, we will not be making more. 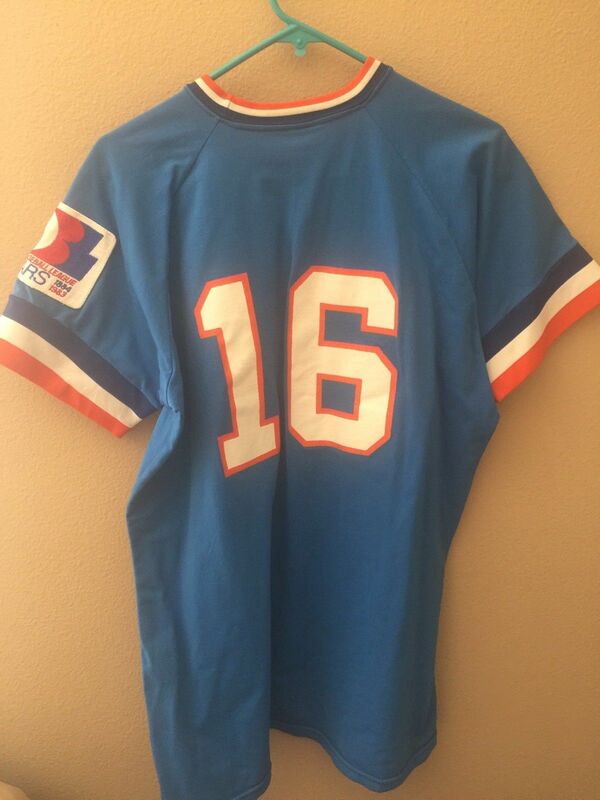 T7LA season ticket members get an authentic cut of this jersey as part of their package. What's the difference between authentic and replica? 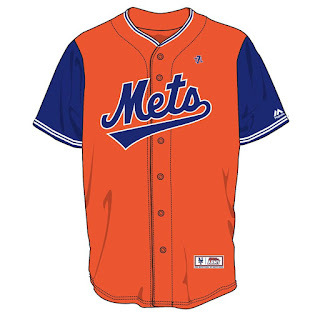 The replica does not have the sleeve patches, they're not customized with name/number and the Mets across the chest is a printed twill instead of chain stitch. Small differences. 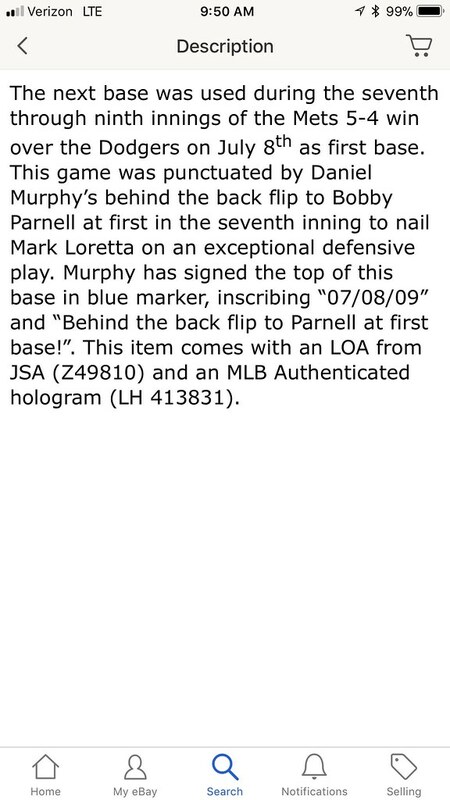 Much like an authentic "player" jersey which retails for around $300 and a replica blank which is around $100. 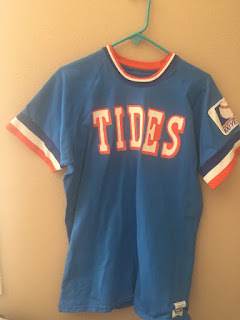 The 7 Line Army single game home tickets will come with a jersey style t-shirt in 2018, but if you'd like to match the season members, this jersey is the closest thing to it. Majestic Cool Base® material is a revolutionary lightweight and breathable jersey with The 7 Line Army / New York Mets colors and styling. This athletic modern fit jersey features Cool Base moisture wicking technology so you stay cool and comfortable as the game heats up. 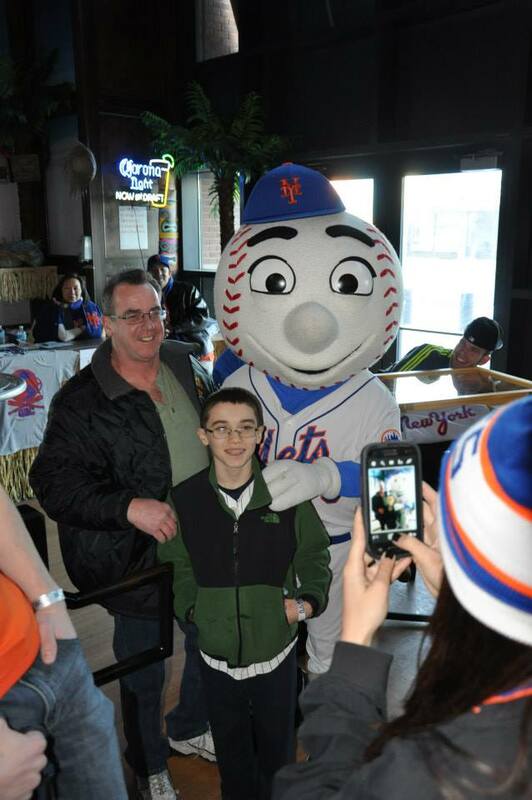 Cheer with The 7 Line Army at Citi Field or anywhere our Mets are playing in 2018! These are sold blank. Personalization is not an option through us, but feel free to add your name/number once it arrives. 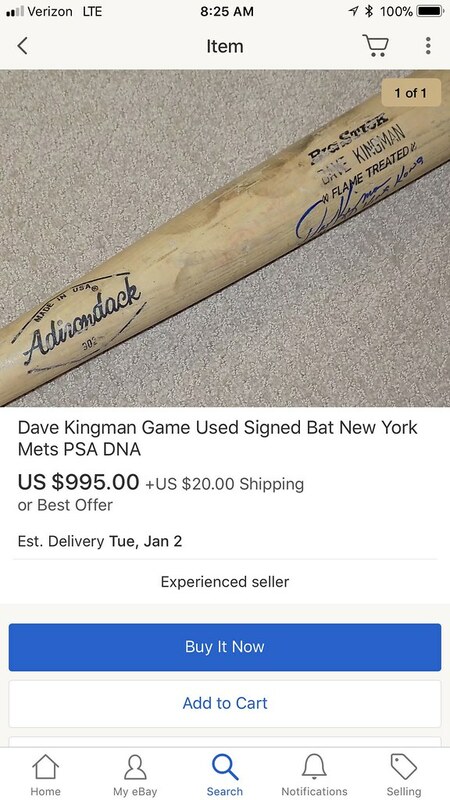 This is an advanced sale item. Any other items ordered at the same time as this item will not ship until the advance sale item ships. If you can’t wait, place a separate order. 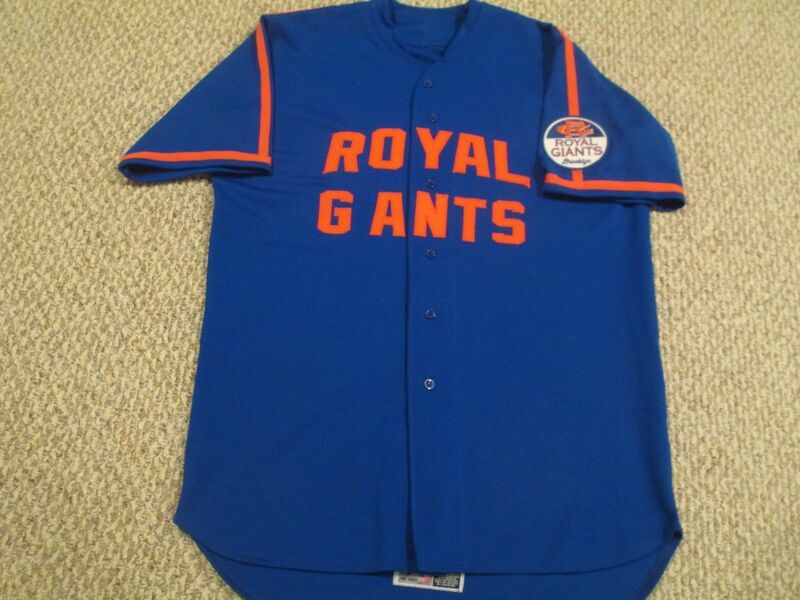 The jerseys will ship for delivery before Opening Day. 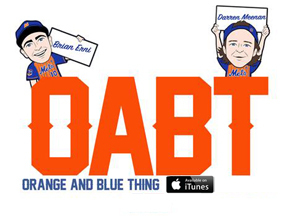 The guys are back for another season, and there’s plenty to talk about, even if the Mets haven’t made many moves of substance. Darren Meenan and Brian Erni discuss the Anthony Swarzak signing, Omar Minaya’s return, and where The 7 Line Army is heading on the road in 2018. Plus, Newsday’s Marc Carig hops on to talk about his recent scathing coverage of ownership, and what finally made him take up the cause. Crack a cold one and settle in to kick off another season of OABT! Co-hosted by Darren Meenan and Brian Erni, our episodes are taped live each Thursday at 6pm Eastern. We're a pretty visual show, so if you can, try to catch the live stream on Facebook.com/The7Line. For now give a listen and if you're in to it, share with your friends, subscribe and leave a review. 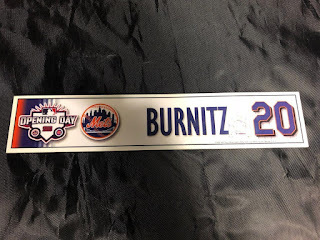 LGM 2018! 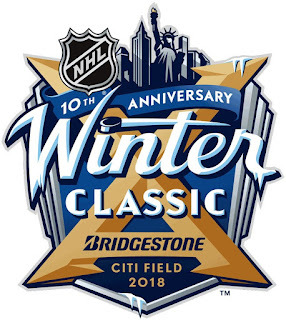 Courtesy of Max WeinbergThe temperature will be freezing but the music will be red hot at the 2018 Bridgestone NHL Winter Classic on New Year’s Day, as the Buffalo Sabres battle the New York Rangers at New York’s Citi Field. 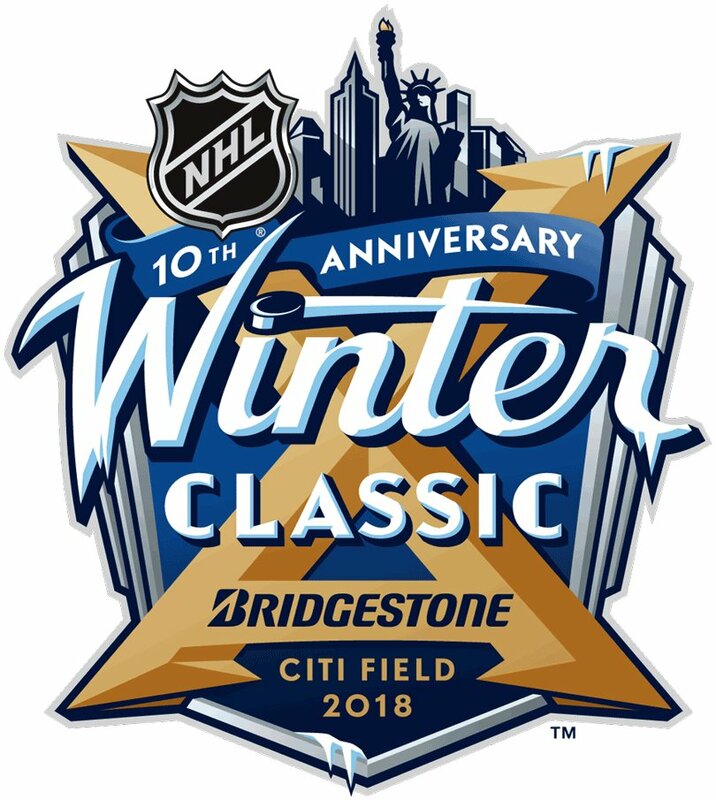 E Street Band drummer Max Weinberg and KISS legend Ace Frehley have been added to the performance lineup for the outdoor hockey game, joining the previously announced Goo Goo Dolls. 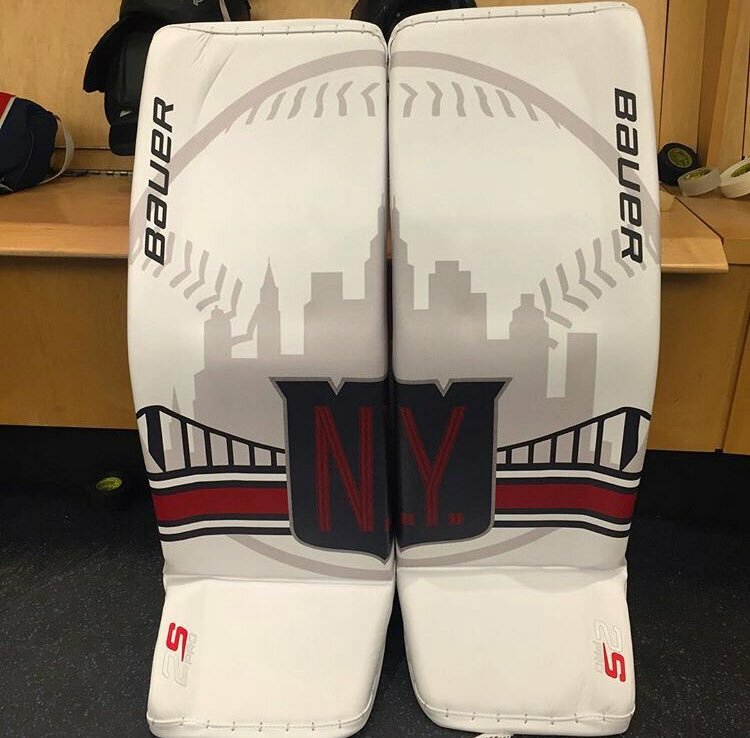 Frehley, meanwhile, will rock his classic hit “New York Groove” during the pre-game festivities. The song is played at Citi Field following every home win by the New York Mets. Goo Goo Dolls will perform during the first intermission of the NHL Winter Classic, which will air live January 1 at 1 p.m. ET on NBC. 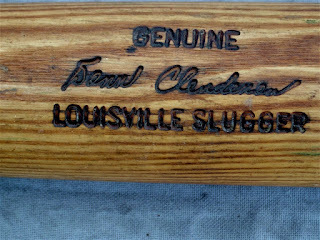 DONN CLENDENON NY METS G105 H&B GAME USED BAT "MIRACLE METS"
GAME USED BAT FROM HIS NEW YORK METS ERA AND VERY POSSIBLY 1969. 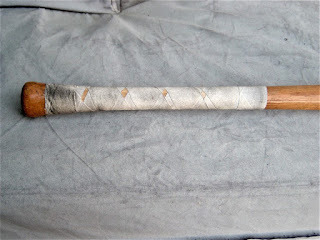 KNOBLESS HANDLE WHICH HAS A CROSSHATCH TAPE TREATMENT. THERE IS A 2"
SEEMS LIKE RISING GRAIN. 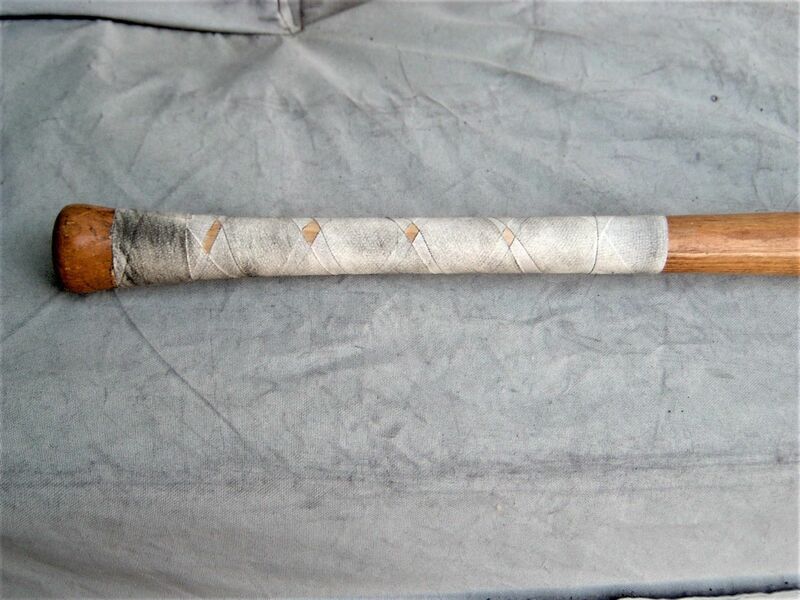 THE BAT SOUNDS SOLID WHEN TAPPED ON THE FLOOR. (ORIGINAL WEIGHT) IN PENCIL. THE FLAME BURNT MARKINGS ARE DEEP AND CLEAR. 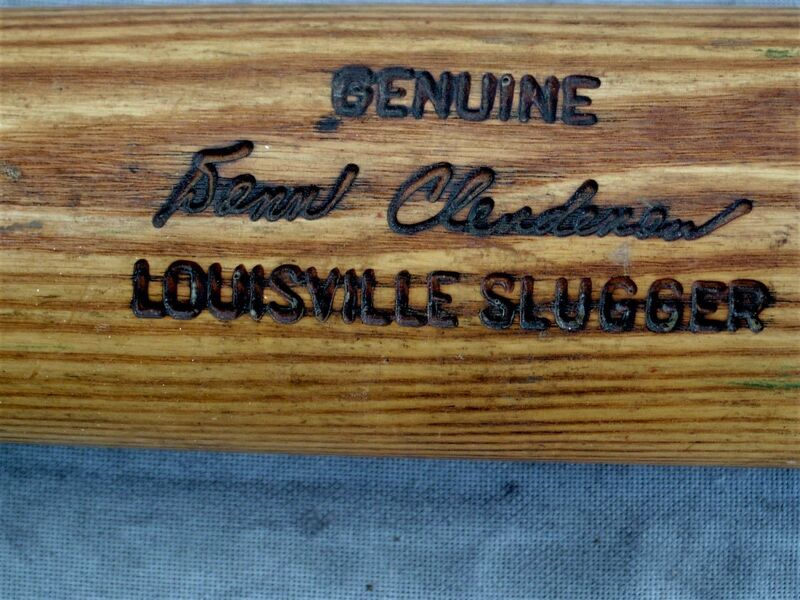 CLENDENON DID ORDER G105 BATS IN 1969. BAT HAS SPIKE, BALL, AND GREEN, BLUE, AND RED RACK MARKS. If you guys feel like you are going to make any difference on trying to get the Wilpons either to sell or seen money more power to you. My personal stance is that I have a feeling it won't work. But what do I know. If this is how you want to spend your energy great. I am not going to try to rain on your parade. There are some folks that "get" what it means to boycott the team and where the money comes from and goes. I think the folks who really are going to boycott the Mets are the ones who aren't going to check out the Mets in any way except in the boxscores the day after the games. 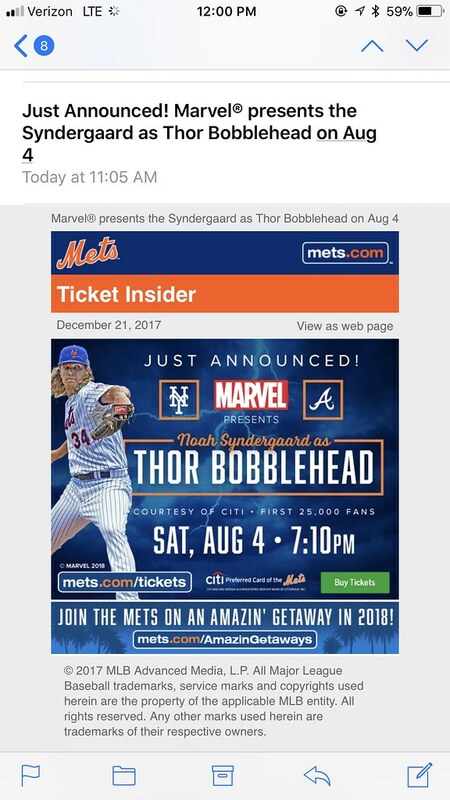 I guess that's the best way of not giving the Wilpons/Mets any money. If you really feel that you can gain any traction with this, then great. If you are going to boycott the Wilpons, do you boycott the building of the new Islanders arena in Elmont? Do you boycott SNY? Do you boycott BAM? 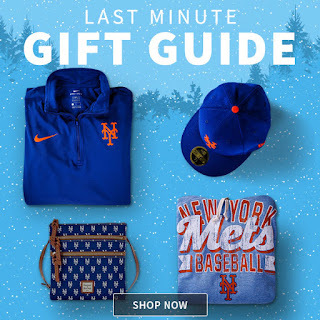 Do you boycott anything that makes money for the Wilpons? What about if you find out you live/work in a Wilpon owned property? I saw someone write the other day that they were only going to go to the parking lots outside of Citi Field during games and hang out there with their friends and drink beer and listen to the game out there either with WOR or the MLB App. Guess who gets the money from the parking lot and the radio deal and the central fund from the MLB App. What are the rules for the boycott? What's not allowed? Just wondering. Boy, aren't you guys lucky... Here is yet another gift for you folks. In a series of firsts, we've teamed up with Buffalo’s Thin Man Brewery to launch Filthy Flow IPA, our first-ever collaboration. 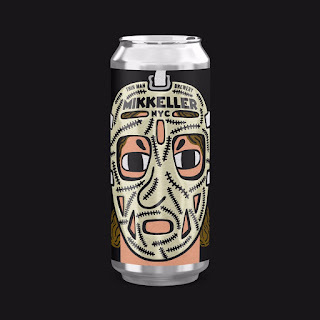 This limited edition IPA is brewed with Citra, Simcoe, Mosaic and Galaxy hops, with a label designed by Mikkeller art director Keith Shore. Our Filthy Flow IPA can release is now scheduled for Saturday, December 30th at Citi Field. We’ll be selling Filthy Flow cans and merch out of our still-in-construction brewery next to the right field gate on 126th street from noon to 6pm (parking will be available in Lot G). You’ll be able to stock up on cases and four-packs for New Year’s and even grab a sneak preview of the brewhouse while we ring you up. Don’t forget: a limited amount of Filthy Flow is now also available on draft at select bars throughout NYC, Buffalo and upstate New York (list below). 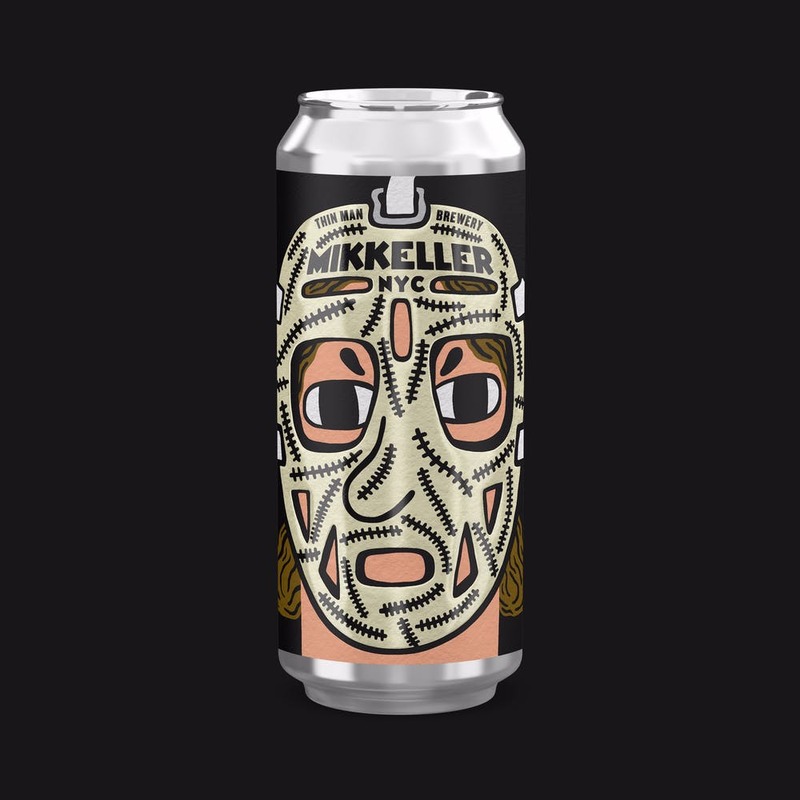 Keep an eye on @mikkeller.nyc for updates and info. @QBConvention Tickets as a last minute Christmas gift? 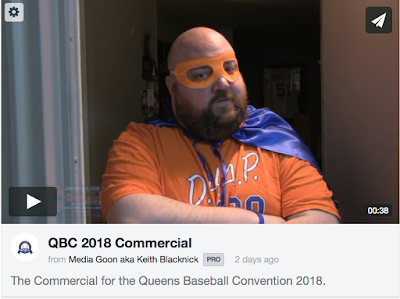 The Queens Baseball Convention has you covered. Hey guys. 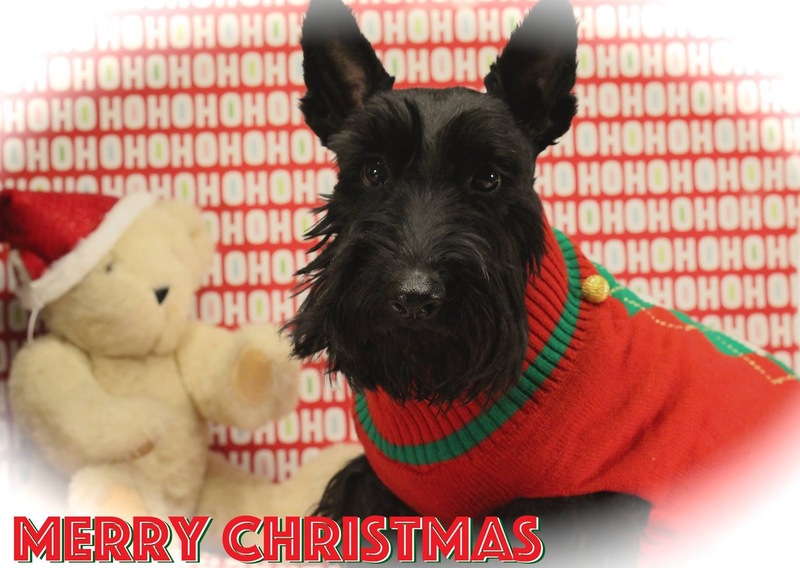 Did you forget someone's Christmas present? Are you going to see them and don't know what to get? Are they a Mets fan? Grab them a ticket for the Queens Baseball Convention. That's right. Print out the ticket for them, stick it in a card and voila(not to be confused with Frank Viola) there you go. Current Mets Chris Flexen and Brandon Nimmo as well as Former Mets Catcher and All Star Todd Hundley will each be doing panels and signings!! How about the analysts( Sal Licata and Jon Harper) for SNY's Hot Stove will be doing a non televised version of their show live at the QBC? We are also doing a State of the Mets panel hosted by Mark Healey, The Uniform Panel hosted by Brian Erni(Orange and Blue Thing) , a panel yet to be named hosted by NY1's Roger Clark. Oh Yeah, WOR's Pete McCarthy is hosting the Nimmo panel and Dennis Holden (Dhapshow.com) and Keith Blacknick(that's me!) are hosting the Chris Flexen Panel. 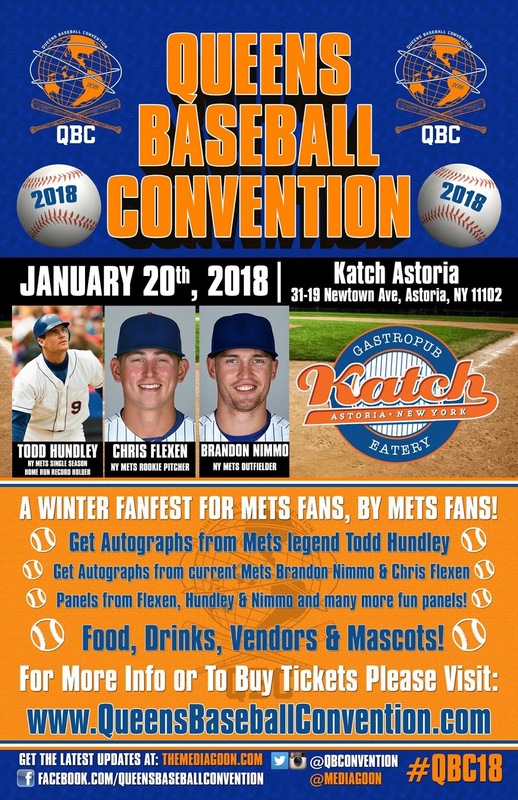 Mr Met is going to be there. There will be vendors, food, drinks and just a lot of fun for Mets fans!!! Jan 20, 2018 at Katch Astoria in Astoria, Queens. Doors Open at 11:30 am and the QBC will run to bout 6:30pm. 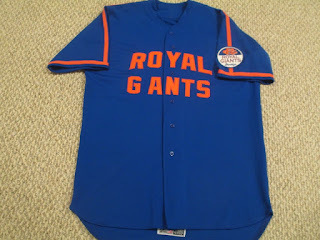 Grab your tickets at www.queensbaseballconvention.com!!!!!!! 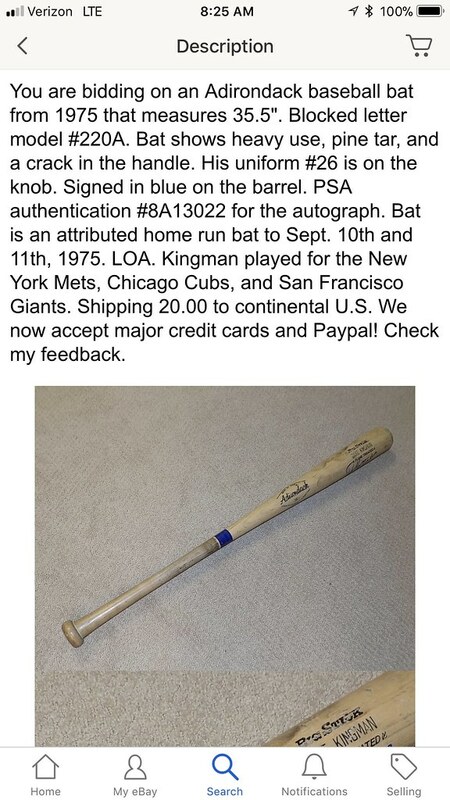 Not Mets ball but would be cool to get signed..
on this one will be $8 USPS priority mail. Any questions feel free to ask. Thank you. Hey guys. 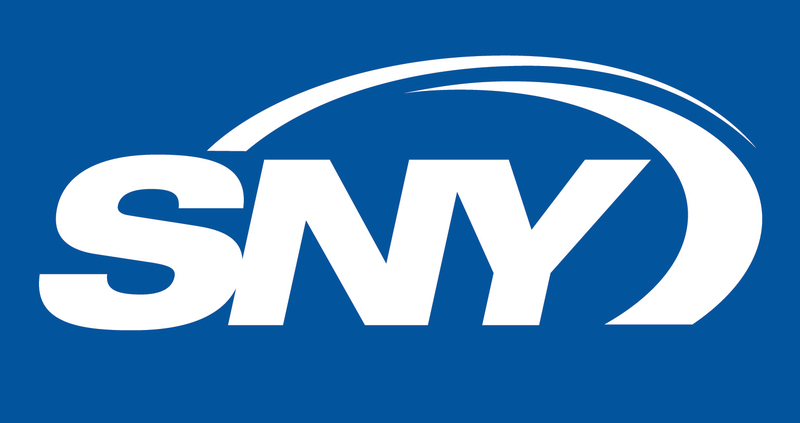 You know how SNY is our title sponsor for the Queens Baseball Convention? Well they are also sending Sal Licata and Jon Harper to the QBC to Talk Mets Hot Stove! That's right! 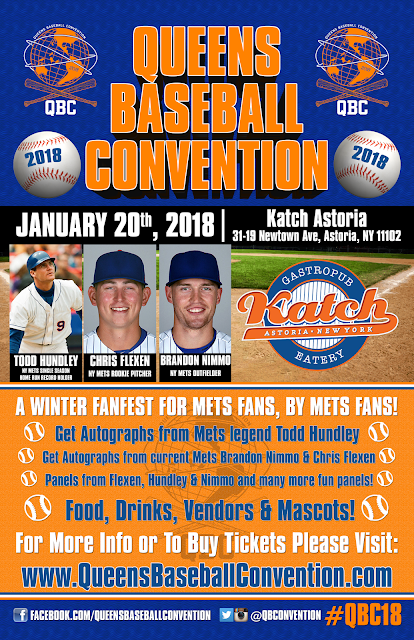 On Jan 20th 2018 A live, in person (not going to be aired ) version of SNY Mets Hot Stove. Have you ever wished you were in he audience (if they had an audience) of an SNY show? Here's you chance to feel like you are behind the scenes at a SNY show. We keep trying to add more to the QBC every year and this is something we have never done before. Come hang out and check out this panel from the guys from SNY. 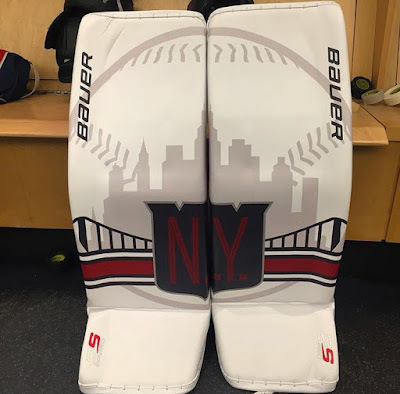 Hey Wilpons, this isn’t what we mean about honoring the past. Special Assistant to the GM? 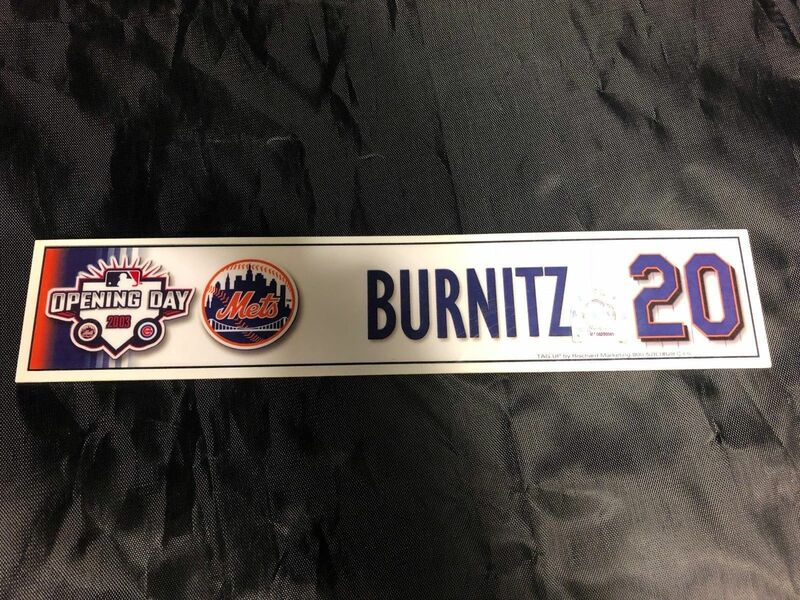 Wasn’t that Terry Collins title too? Also why do the Mets need Omar? What are the up to? “The Mets named former general manager Omar Minaya — who spent the last three years with baseball's players association — a special assistant to Sandy Alderson on Friday morning. 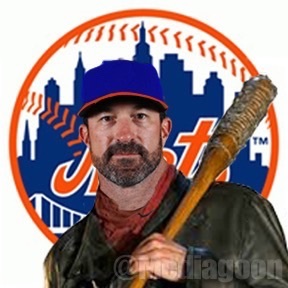 This is what the Wilpons don't get. Embrace the Mets history. If everyone including former players are taking shots at you as owners, why wouldn't you think there is a problem going on? It's like Mr Burns cloned himself twice, bought the Mets, put his clones in charge and is oblivious to how people perceive them. "Smithers....I mean Jay. The Fans, the media, and our employees all love us right?" Smithers I mean Jay," Yes Sirs. They think you are the bees knees." Jeff come on. Stop being petty because someone said they can run the team better then you and your dad. I got an idea. Why not step up to the challenge and run the ball club better? "Hey we bought the Syracuse Chiefs so the players don't have to travel all the way from Vegas when called up now!" Rumor has it you guys bought the Chiefs because you burnt all the bridges in AAA and the only way you could get a team back east was to buy it. Purely rumors though. According to Jay Horwitz, the Mets’ longtime spokesman, the trouble stems from a remark that Kranepool made perhaps five or six years ago to Jeff Wilpon, the Mets’ chief operating officer and the son of Fred Wilpon, the team’s principal owner. 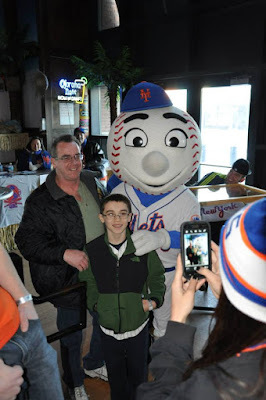 The remark, Horwitz said, came during an annual team dinner and apparently occurred during the period when the Mets, under serious financial pressure because of their involvement in the Bernard Madoff fraudscheme, were looking to recruit investors to buy a minority stake in the club. Asked about that remark, Kranepool remembered the exchange somewhat differently. Kranepool’s name had emerged around that time in connection with a group that was expressing interest in buying the Mets outright. That effort didn’t go anywhere, but Kranepool said Wilpon had made a disparaging remark to him about it. “One thing led to another, and we had some words,’’ Kranepool said. The result has been disruption in a relationship that began when Kranepool, as a teenager out of James Monroe High School in the Bronx, briefly made it to the Mets in 1962, the team’s inaugural season. 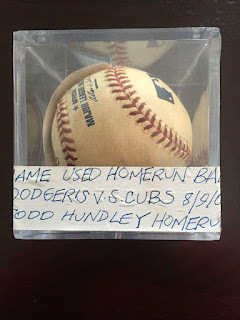 After that, he found a niche for himself, a 6-foot 3, left-handed hitter who never had more than 16 home runs in a season and who finished with a career average of .261. Need Last Minute Gifts For A Mets Fan? @QBConvention Can Help.. I wanted you guys to know that we have less then a 100 total tickets left for the QBC.The Holidays are still around and we don't want you to get caught short on not getting tickets for you or your loved ones. 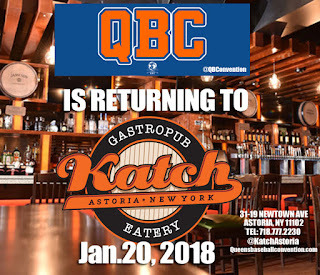 This is going to be the biggest and best QBC that we have had so far. Get an insight on how it is to arrive in the big leagues from someone who just got here with Pitcher Chris Flexen. Find out what kind of adjustments he's made going from Double A ball to the majors. 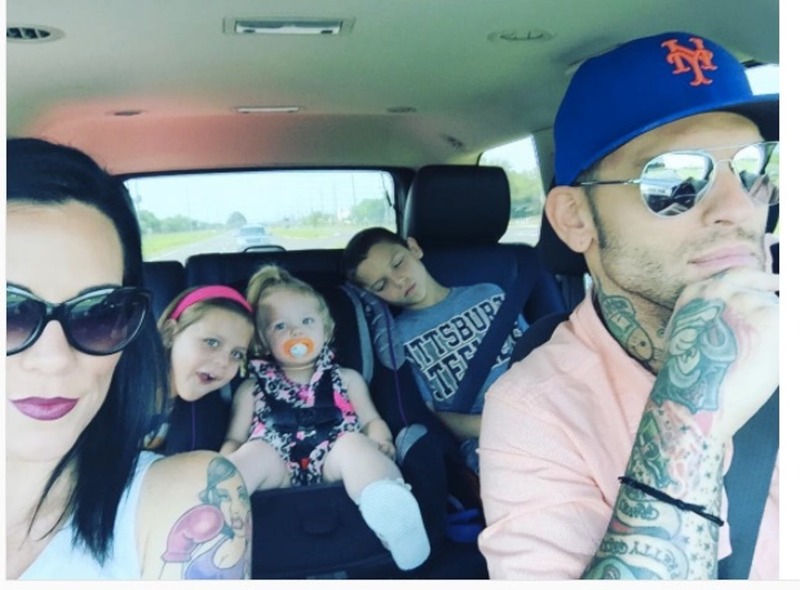 Find out his favorite tv shows, best moments with the Mets, and more. Oh yeah. Did I mention that Dennis Holden (@DHAPSHOW) and myself are hosting this panel? If that doesn't get you motivated to go, I don't know what will. We have Brandon Nimmo. WOR's own Pete McCarthy will be hosting this panel. Wondering what it's like to be in the bigs for a few years now? How was it being a part of the 2015 and 2016 season? How does he feel about the upcoming 2018 season? 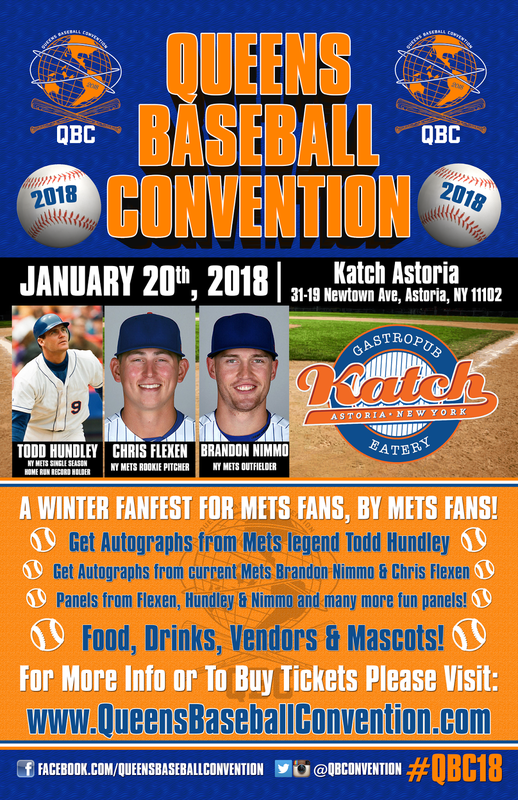 Former Mets All Star Catcher Todd Hundley will be doing a panel also. Remember the Todd Squad? How about the 41 HR season? What is he up to now? We will have the State of the Mets panel Hosted by Mark Healey from Gotham Baseball. He and a great panel of guests will be discussing where the Mets are right now and where the team is heading into the future. 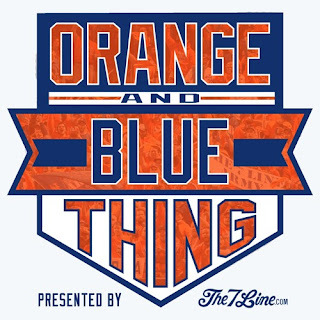 The Uniform Panel Hosted by Orange and Blue Thing's Brian Erni. What was your favorite Mets uni? What Uni was part of the biggest moments of Mets History? Discuss and find out here. We also have two other panels that we haven't revealed yet but you'll love them. One is a returning panel from the past and one is a brand new HOT panel. Don't forget that each ticket comes with at least one autograph ticket that can be used for any (1) of the three players from that day. 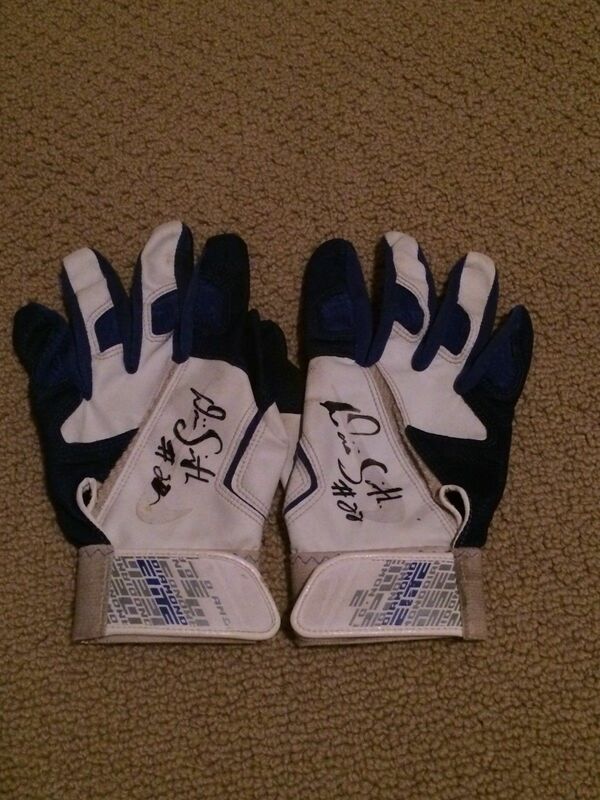 If you get the two autograph package you can either get 2 autos from one player or 2 from any combo of players. So you can get one from Hundley and one from Nimmo or both from Hundley or both from Flexen as an example. Mascots? Did you ask if there are going to be any mascots this year? Whatcha think? Of course there will be. Vendors? Yep we got those too. Artists, memorabilia, Game used vendors!!!! Jan 20th 2018 is the date. Katch Astoria in Astoria Queens is the place. Doors open at 11:30 am. 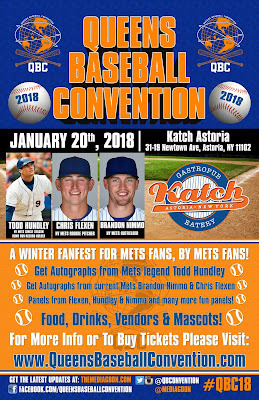 Grab your tickets here at www.queensbaseballconvention.com. If all the tickets sell out online, there will not be any sold at the door. So is this the same sculpt, is it different? It Thor Ragnorock? They have the Mets SKYLINE!!! !